I don't know, if I came across half the deals you seem to always find I'd be buying loads too. Are you always at carboot sales to be getting games at those prices? That looks to be very good condition! Just the minimal amount of wear needed that it isn't extortionately priced. I dunno. If I have the some spare money (rarity these days) and there were places near me that actually sold retro stuff then yes, I'd buy a lot of it that would probably cost me a pretty penny. Its pretty much both of these reasons why I've turned to ROM downloads in place of actual stuff. I've added a whole load of SNES games to my ROM collection. 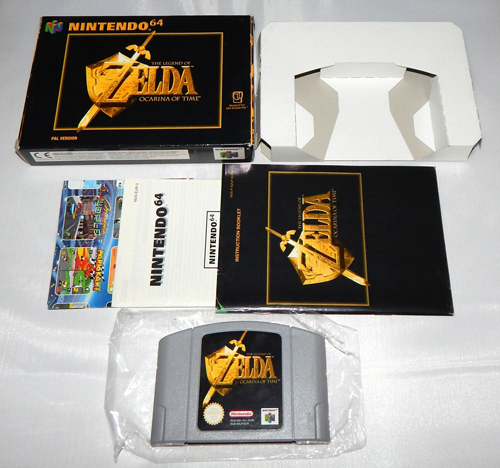 While its nice to finally get to play them I'd much rather have the cartridge on the original machine though. Emulation is all well and good but you can't beat having and using the original stuff. Yeah, it's really nice. Not mint, but good enough for me. I used to go to a lot of markets but the markets have really dried up, then I got a lot from local Facebook groups but now it's mostly a mix of charity shops, independent game shops, the odd private seller and the occasional online purchase. I write a post once a month on my blog summing up what I have got, the sort of place I got it from and how I feel about it. I got a game in the post today it's Super Volleyball for the megadrive American cart only for £3 including postage, I have seen it sell for a lot more I'd imagine because of the fact it never came out in Europe. World Cup Italia 90 for megadrive boxed complete, Jordan Vs Bird for megadrive boxed missing manual, Inzuma eleven 2 Blizzard and Firestorm both sealed, dragon blade for wii complete, and Dragon Ball Z: Shin Budokai for psp umd only. im very fond of that game, gets somewhat overlooked which is a shame. I think Ploiper most people just saw Marko groaned and thought it was a football game and didn't realise it was a pretty cool little platformer. probably, I also remember the comic strip of it in sonic the comic. I never could get past that damn circus level though. I love this game. Congrats on the buy too! Sweet! That's a game I'd love to get for my SNES. 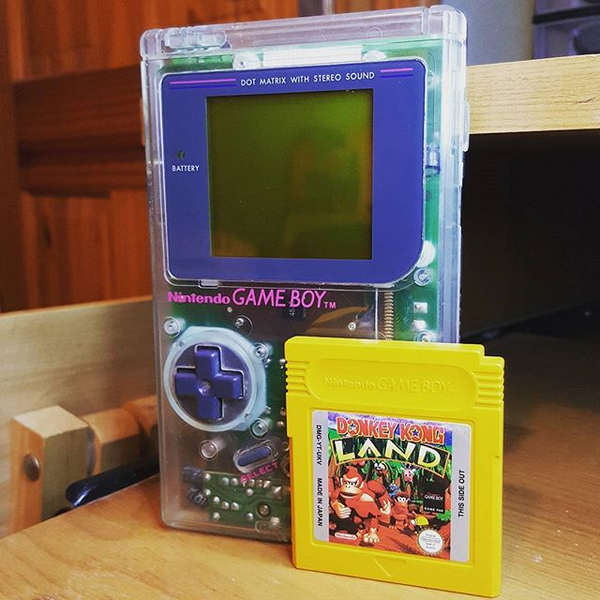 I recently got myself a transparent Game Boy that came with Donkey Kong Land. I already had 3 original Game Boys (2 grey and 1 yellow), but I love transparent consoles, so I felt that I needed to have it, haha. I'd love to get the hold of a transparent Game Boy Pocket as well (I don't own one of those at all). I have 4 Game Boy Colors: Green (boxed, from my childhood), Pink, Teal and Atomic Purple. I'd quite like to get a yellow one and a purple one as well to have a complete set of all the main colours.